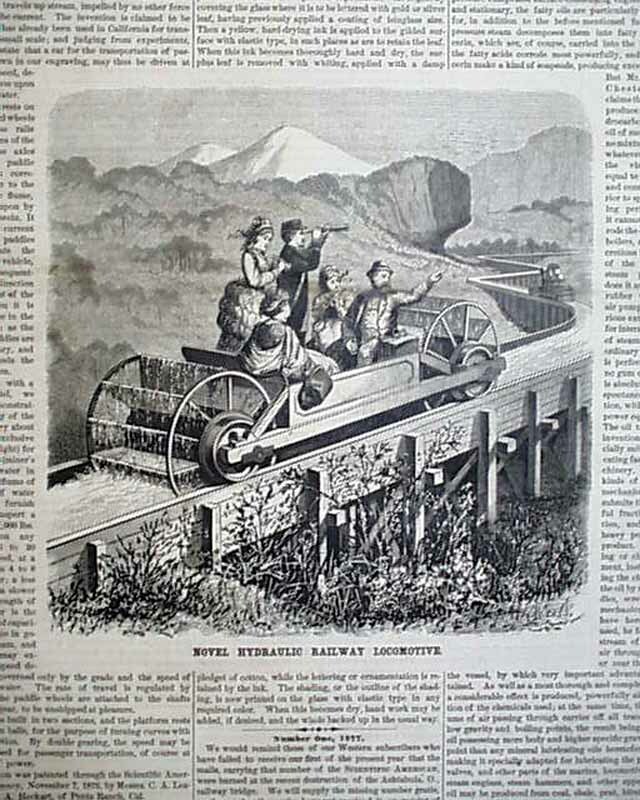 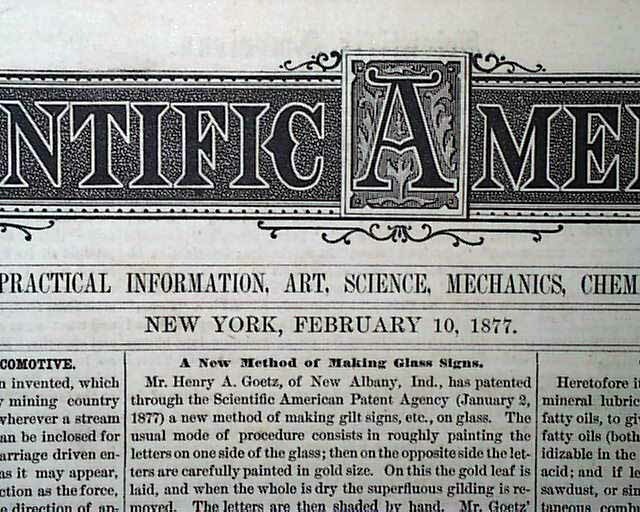 SCIENTIFIC AMERICAN, New York, February 10, 1877 The front page has a very interesting illustration captioned: "Novel Hydraulic Railway Locomotive" showing what essentially looks like a paddlewheel-powered flume ride. 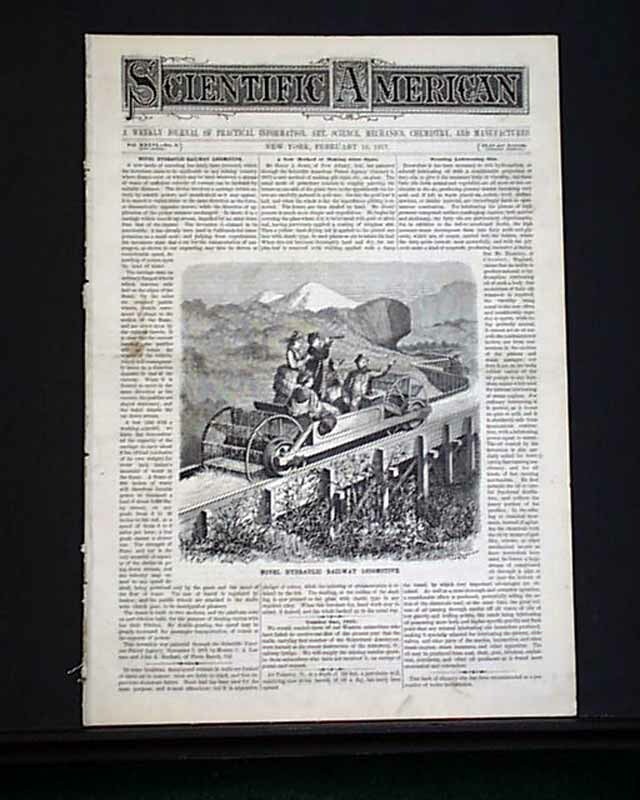 A related front page article as well. 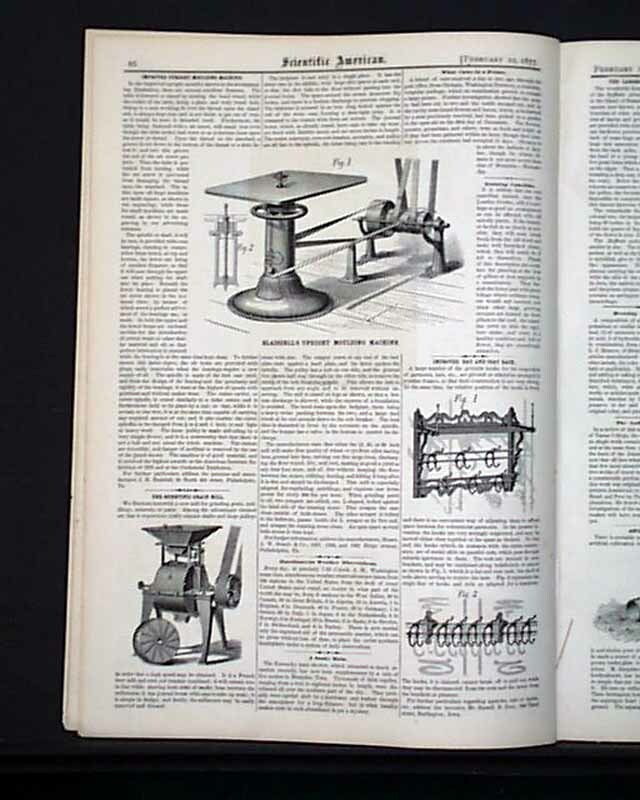 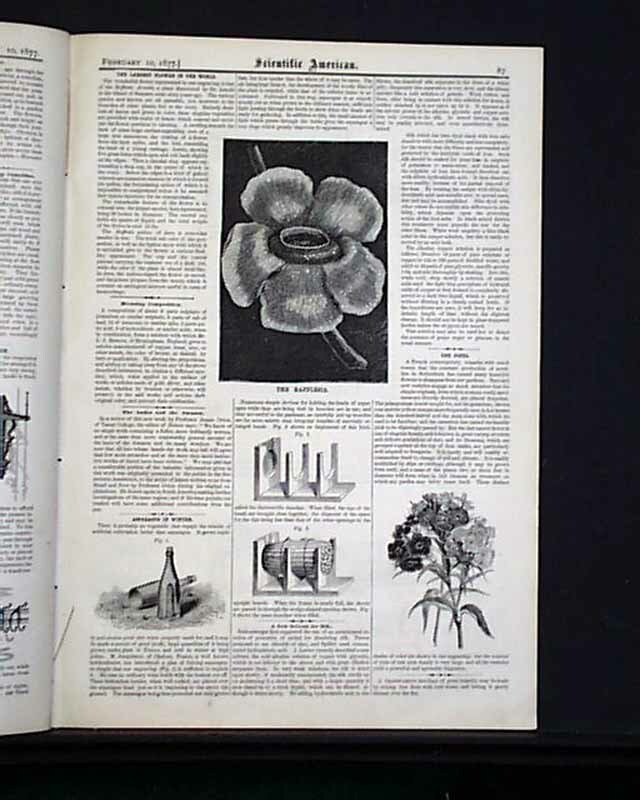 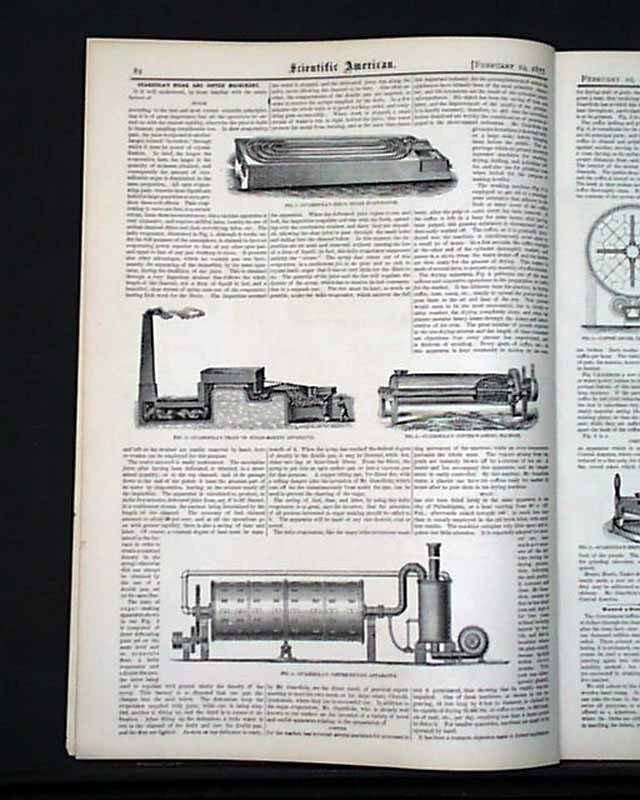 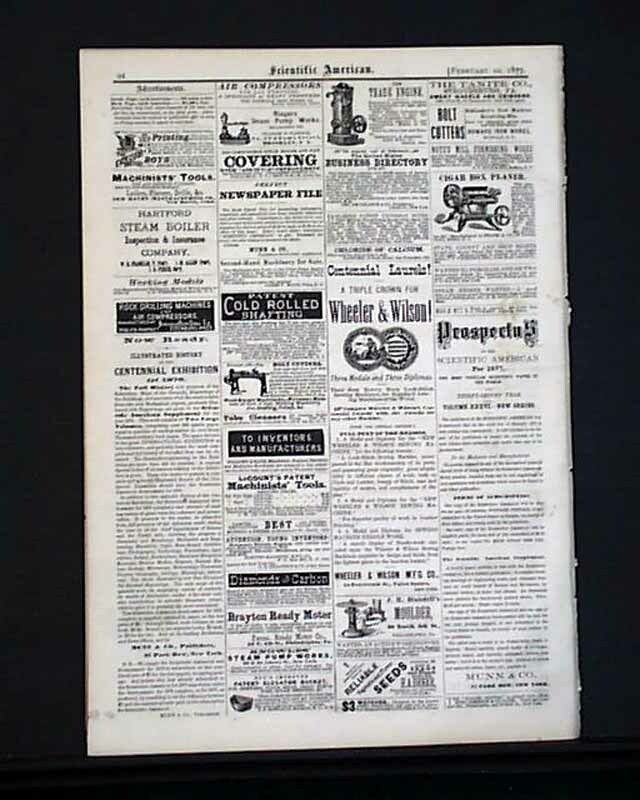 Inside the issue is "Guardiola's Sugar and Coffee Machinery"; "Blaisdell's Upright Moulding Machine"; "Spoke-Making Machinery"; and more illustrations, articles and advertisements. 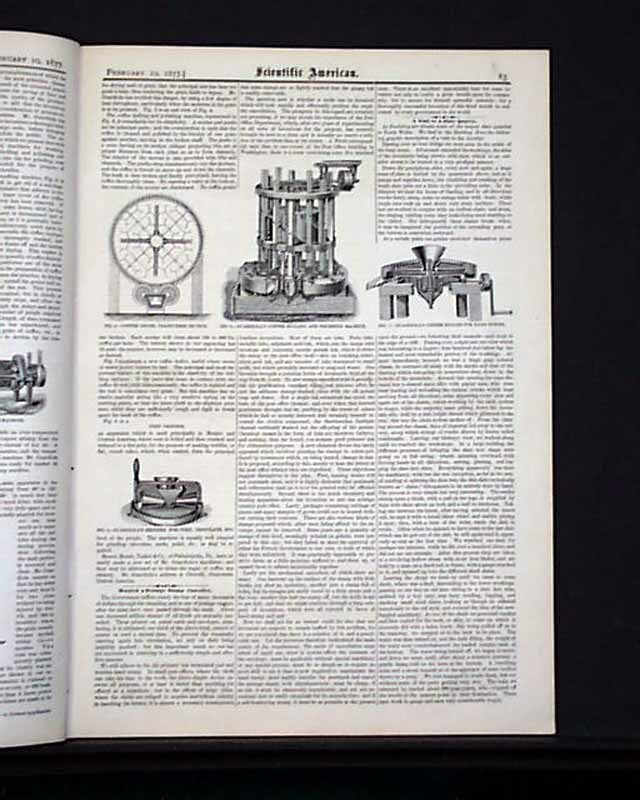 Sixteen pages and in nice condition.